BudgetBook is a Windows 8 Budget app. You can use it to plan and track your Budget for various important Expenses, Incomes, and Savings. Here, you can add categories to which you can add transactions. 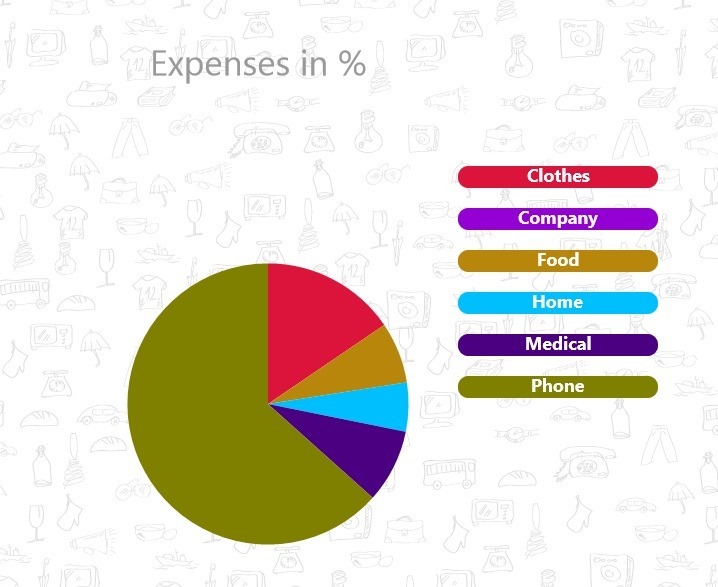 This Windows 8 Budget app uses pie charts and graphs to depict your plan. You even have the capability to upload this to your Skydrive account. Also, this app will pin itself on your Start screen showing your expenses and income. This budget planning app is freely available in Finance category of the Windows Store. 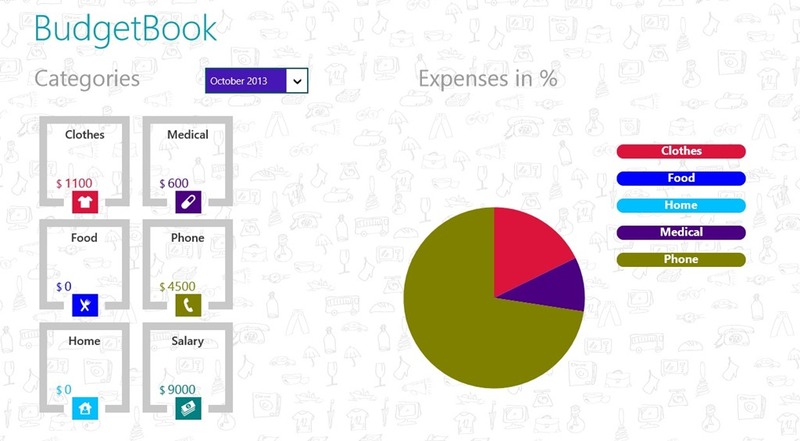 Let’s get you a better idea of how you can use this Windows 8 Budget app to plan your Budget. As you get to the main screen of this Windows 8 Budget app, you will be having some categories, like Clothes, Company, Medical, Home, etc., by default. You can edit these categories or can add new categories according as your requirement. In order to add new category just right click anywhere on the screen. A bottom flyout will appear in which you have this option. You can edit categories to add specifications like the name, type (expense or income), color and icon, etc. Once this is done, the category will appear on the main screen of this Windows 8 Budget app. Now, you can click on the category and start adding transactions to it. 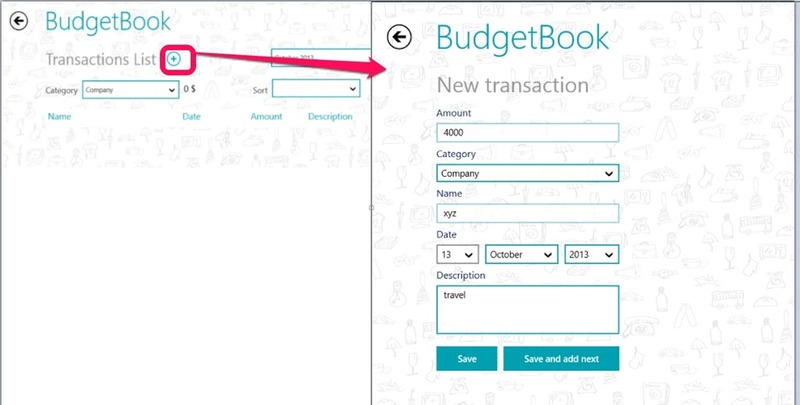 Using these transactions, you can add new entries for any particular date in this Windows 8 Budget app. This is how you add new categories and make your budget plan. Apart from this, after you have made the desired categories and added new transactions here, BudgetBook will make pie charts and graphs according to them. This helps you in tracking your budget plans. In the pie charts, this Windows 8 Budget app will depict the statistics of various categories which you have added, using the colors you have chosen. The index will also be shown here, using which you can easily recognize that which portion depicts what. 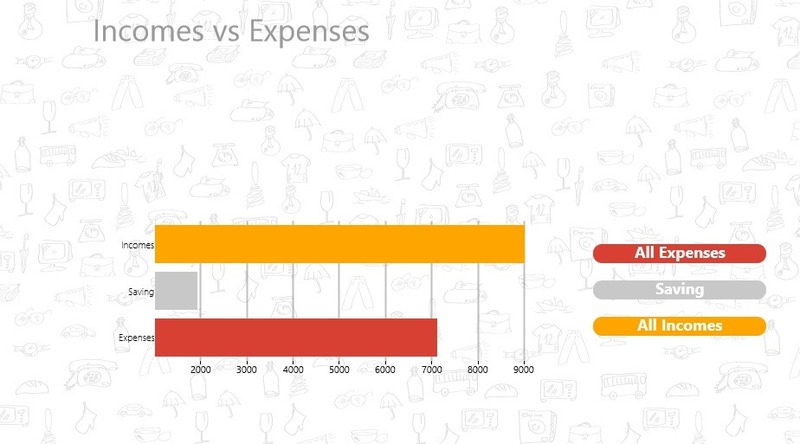 In addition to this, this Windows 8 Budget app also uses graphs to depict your expenses, income, and savings. These figures can be helpful to understand the budget plan more easily and conveniently. In addition to all this, this Windows 8 Budget app also has the functionality by using which you can save your budget plans over the Internet on your SkyDrive account. For using this option, right click anywhere on the screen after you have made your plan. A flyout will appear on the bottom from where you can choose the Upload to SkyDrive option. From your SkyDrive account, you can download this plan anytime, which will be saved as a SQLite file. BudgetBook is freely available in Windows Store. It uses Graphs and Pie Charts to show your plan. Pinning (to start screen) feature available. According to me, it is quite a nice Budget app and deserves a try for sure. Don’t forget to share your views via comments.